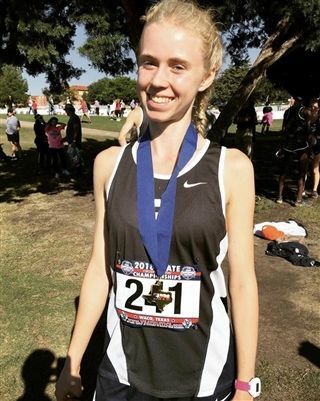 Sophia Leidner '19 placed 3rd in the TAPPS 6A State Cross Country meet in Waco on October 29. Her two mile time was 12 min. 23 sec., averaging 6:11 per mile.